Throw Revolution dropped a great hangout video, shot on a recent trip to Vietnam. The scene there has been growing steadily for the past few years, and it's awesome to see more countries putting forth some amazing talent! Throw Revolution dropped a great hangout video, shot on a recent trip to Vietnam. The scene there has been growing steadily for the past few years, and it’s awesome to see more countries putting forth some amazing talent! We’ve got a look at the newest release from World YoYo Champion Marcus Koh’s brand, Throw Revolution! 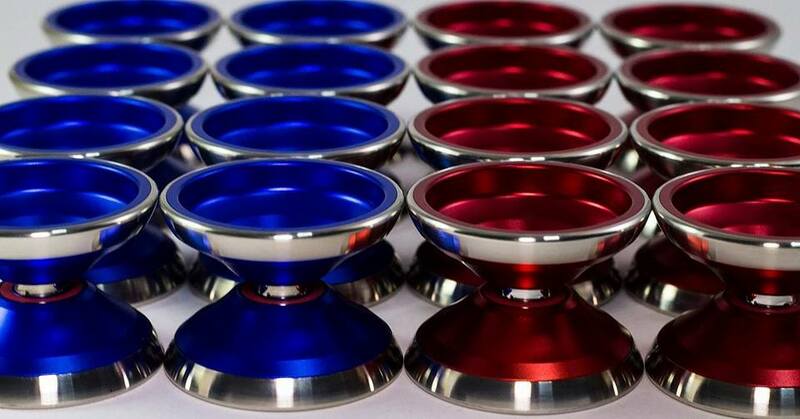 The Kaiser is a monometal yoyo made of 7075 aluminum, and designed to perform to Marcus’ exacting standards. His goal with the Kaiser was bi-metal performance in a monometal yoyo…not the easiest thing to accomplish, but we look forward to trying one and seeing how close he got. 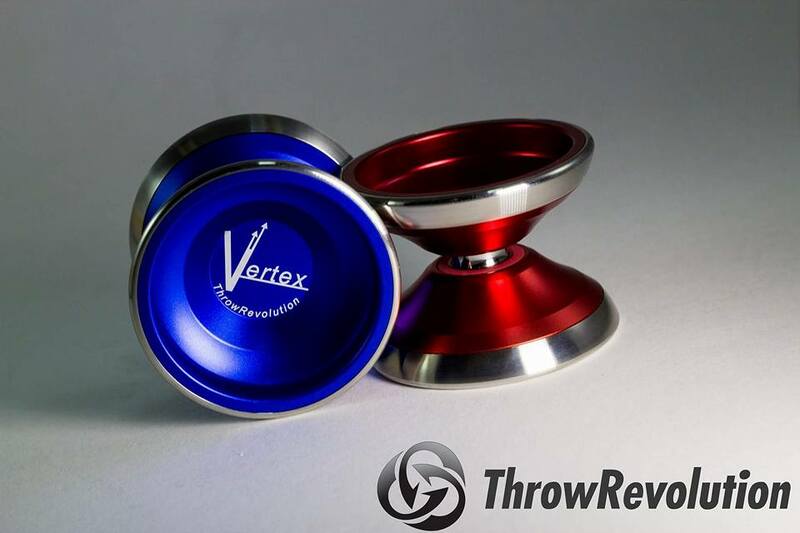 Check out Throw Revolution’s info below, along with more pics and full specs. The Kaiser is available March 14th at 8 pm SGT at the Throw Revolution store, and hits retailers soon after. When the Kaiser was made, It was designed to bring out a Bi-metal performance in a mono-metal yo-yo. This Yo-Yo was made for the aspiring competitor, not just any competitor. But for the one who dares to be a champion. We wanted a Yo-Yo that is able to comfortably return to your hands. This is an important aspect which is often overlooked, as it ensures that your next throw will always a good one. Specially for freestyles when you have to bind from a strong spin due to a music cue. The Kaiser was designed with step curved Rims to rest perfectly on your hands. The Kaiser needed to be a yo-yo that stands out. We experimented by introducing a new twist to the way its being anodized by giving it a raw finished cut around the hub of the Kaiser. The end result was Stunning. It was a design that stood out immediately, which made the Kaiser uniquely identifiable. 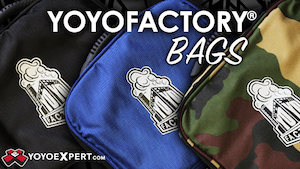 With the Kaiser’s release approaching, we’re staying true to our company’s mission. And you’ll be the first one to receive the “Revolutionary Experience”, a special 1-on-1 coaching session with Marcus Koh when you purchase a Kaiser today. 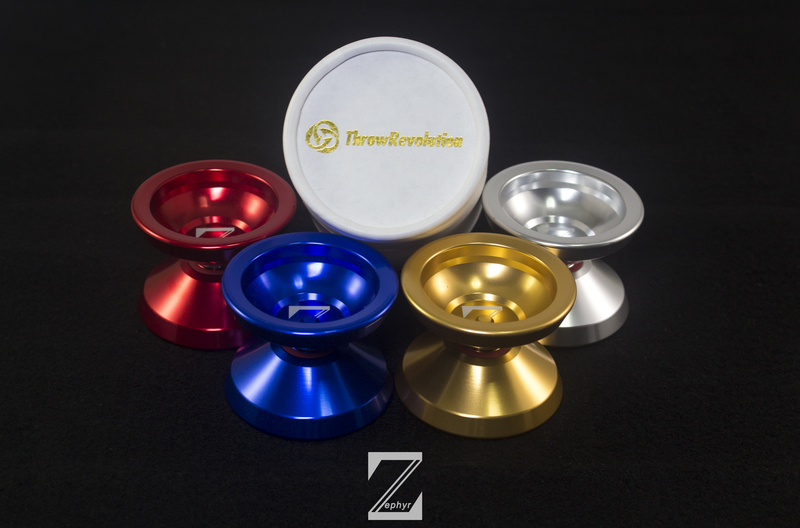 Throw Revolution has a new promo video out for the Zephyr, their first budget model. 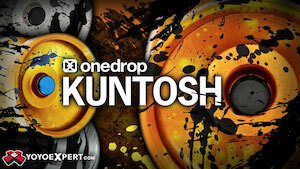 Featuring Singaporean player Kendrick Hu, this yoyo is looking pretty good! In case you missed it, check out our First Look at the Throw Revolution Zephyr here, along with a speed test video from Throw Revolution owner and founder, World Champion Marcus Koh.